Understand our world—then help other people understand. As a Mass Communications student, you'll learn to understand our constantly changing society, and the ability to interpret those changes for clients, readers and viewers. Your coursework will teach you the theory behind the principles and practices of the media, and build your awareness of the ethical responsibilities of working in them. You'll graduate with a high skill level in all forms of communications. The Department of Mass Communications prides itself on offering students “real world” experiences in the media, through professional internships and hands-on training on campus with the Student Publications staff and OCU-TV Channel 22. The department has a 100% job placement rate for its graduates. Mass Communications alumni and student interns are working in media-related fields around the world. Faculty members in the Department of Mass Communications come to the university from diverse professional backgrounds including advertising, corporate and commercial television, marketing research, newspaper publishing, public relations, and sports journalism. 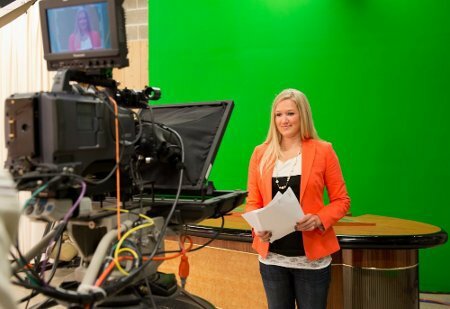 OKCU offers a Bachelor of Arts degree and a minor in Mass Communications and a minor in Social Media.